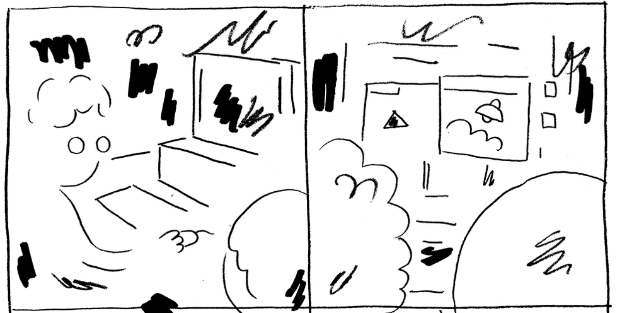 I have been writing about Simon Moreton’s work at Broken Frontier for several years now and I can point to many reasons as to why it has connected with me on such a deep and personal level. 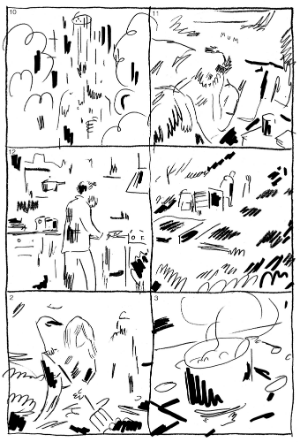 His stripped back visuals, for one, invite us to both interpret and immerse ourselves in his narratives as we become simultaneously observer and participant in events in his comics and zines. There’s also a sense of having been a part of Moreton’s creative journey with him as his style has evolved and he has embraced cross-media approaches to his storytelling. And, of course, there’s the powerful and often painfully raw honesty of his autobio work – a feeling of privilege that we’ve been allowed to share in his innermost thoughts and meditations, whether expressed directly or through his quietly reflective sequential art. In short, Moreton’s work embodies certain fundamental, undeniable human truths that we all recognise. His experiences are our experiences. We are his minimalist on-page avatar. Every perfectly captured rite of passage he depicts speaks to us so eloquently because we have either lived it, or will live it, too. Which brings us to Minor Leagues #3 and possibly Moreton’s finest piece of work to date. 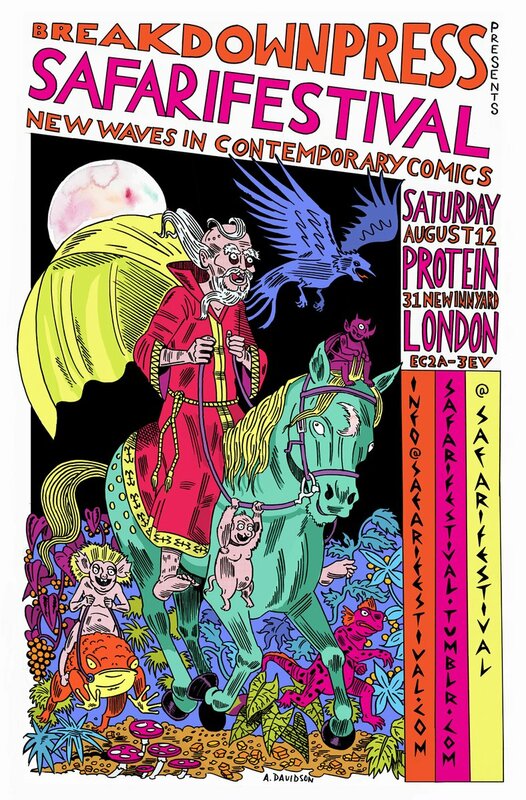 A collection of comics, illustration, prose and poetic passages that, as is often the case with his zines, jumps through time zones but is mostly anchored in the events of this year when the artist was faced with the loss of his father. The issue’s main opening story is ‘Dad’ (below left), a piece of “silent” comics that throws us into Moreton’s world after his father’s cancer diagnosis in January 2017. It immediately sets the scene and then asks the reader to quietly sit back and let Moreton’s stripped back, but never unsophisticated, imagery communicate the emotional complexities of the situation. Surprisingly busy panels by Moreton’s standards give an impression of drifting through the routine of the day overwhelmed by that looming, inescapable bigger picture. While Minor Leagues seemed like a major shift for Moreton’s storytelling after his long-running Smoo Comics, his adoption of interspersed comics, illustration, prose and poetry shows an artist who – at least from an audience perspective – has never seemed more at home with his practice. Moreton utilises the unique properties of each medium he uses in Minor Leagues #3 to convey and record the gravity of events in that time. Immediately following ‘Dad’ is the textual interlude ‘A Checklist’ – a rhythmic chant of newfound realities that takes a stark lyrical tome as it builds up in a crescendo of worry and routine. 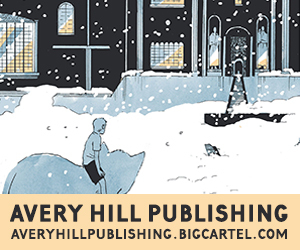 Issue #3 is full of those small moments of existence in which all of humanity is writ large. Anyone who has been through a similar experience as the events depicted herein will find much that resonates – a profound sense of helplessness permeates the zine, embodying and ruminating on the frailties of our lives and the fragility of mortality. But it also jumps back in time on occasion, most notably taking us back to a destructive youthful indiscretion in a tale of teenage vandalism titled ‘I Was a Teenage Dirtbag’ (below right) which seems all the more recognisable, oddly, for its indistinct depiction of spontaneous recklessness. There’s something almost meta about the central untitled illustrated story that revisits the summer before and gives us a simple tale about a kingfisher, Moreton’s father and a friendly act of kindness. 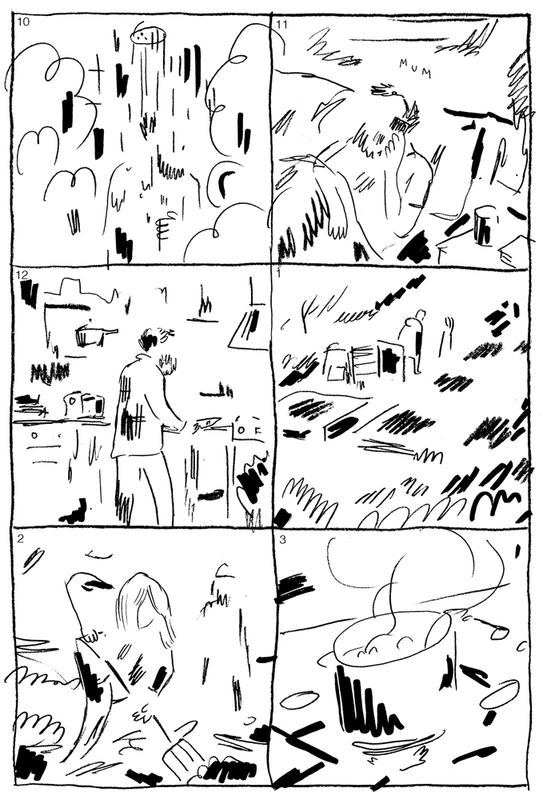 One small moment of profound connection between strangers that is echoed in the instant bond that the author forges in this brief sequence with his audience. A beautiful thematic coda which begins with a deeply affecting use of white space reminds us that life does, indeed, go on but makes that point without even the tiniest hint of the trite or the twee. And it’s in those near final pages that I suspect many regular readers will see the ultimate affirmation of just why Simon Moreton’s work is so important to them. It’s not simply a question of craft or storytelling, as undoubtedly excellent as both are. It’s because in sharing his vulnerability, his rawness, and on this occasion his grief on the page, Simon Moreton continues to provide a sense of kinship and a vital reminder that we are never alone in our emotional responses to what life throws at us. I can think of few creators whose work has meant as much to me in the years I’ve been writing ‘Small Pressganged’ at Broken Frontier. 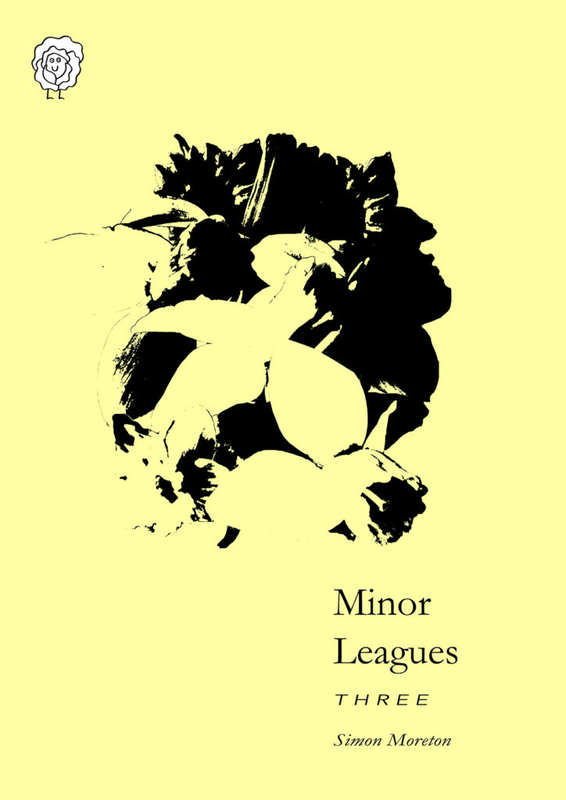 Minor Leagues #3 may just be Simon Moreton’s most important work to date. 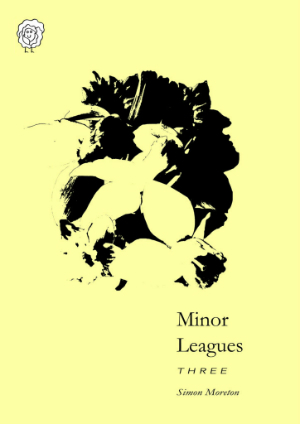 For more on the work of Simon Moreton visit his site here and buy Minor Leagues #3 from his online store here priced £3.00. Simon has written about the creation of this issue on his blog here. Simon Moreton will be exhibiting at Safari Festival on August 12th. Safari Festival Fortnight 2016 – Catch Up with All Our Coverage in One Place Here!